Guidelines of sorts from the boyz at the FDA until they change their minds again. There are many tobacco and vape retailers who are viewed as manufacturers in the eyes of the U.S. Food and Drug Administration (FDA). 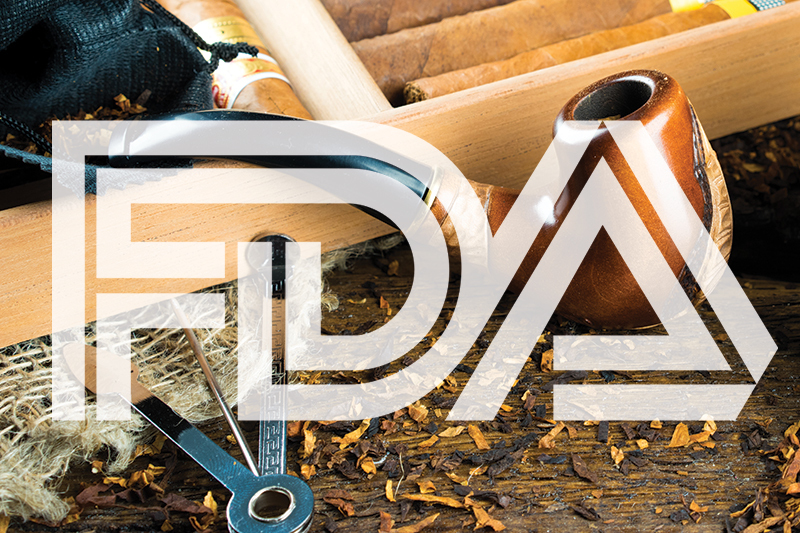 The FDA has released a new guidance document titled “Health Document Submission Requirements for Tobacco Products” for those retailers who blend their own pipe tobacco, blend e-liquids or make their own cigars. These retailers are required to register with the FDA, a deadline that was actually Sept. 30, 2017. These retailers are impacted by the deeming regulations that went to effect Aug. 8, 2016, just like many larger tobacco manufacturers. Small-scale tobacco manufacturers must file tobacco health documents with the FDA by Nov. 8, 2017. A small-scale manufacturer is defined as a manufacturer who has up to 150 employees and an annual revenue of $5,000,000 or less. The FDA has extended this deadline to May 8, 2018 for those small-scale manufacturers impacted by the recent hurricanes and wildfires [read more here]. WHAT IS A TOBACCO HEALTH DOCUMENT? Many retailers that will be required to submit this information to the FDA are unlikely to have this information readily available. For those who don’t have any tobacco health documents to turn in, they must file FDA Form 3743. In Section I, page 2 of the document, indicate that you are a Manufacturer and submit your name, address, city, state, country and zip code and DUNS Number or FEI Number if you have those. Under “Submitter Point of Contact”, provide your name, title, e-mail address, telephone and fax numbers. Skip Section II. In Section III, under “Submission Format and Comments”, click the boxes indicating you do not have any documents that relate to health, toxicological, behavioral or physiologic effects and that you do not plan to have this information in the near future. In Section IV under “Confirmation of Statement”, read the statement and select the “Agree” box if you agree to the statement. Sign the form, put your name and title in the box, include the date, and check the box in front of “Submitter.” Leave Sections V, VI, and VII blank. For all the legislation and FDA news, click here.